Home / Lange RS 90 S.C. The RS 90 SC is a softer flexing version of the adult RS shell used by Julia Mancuso, Maria Reisch, and Didier Defago. It offers the highest performance boots without compromising comfort. 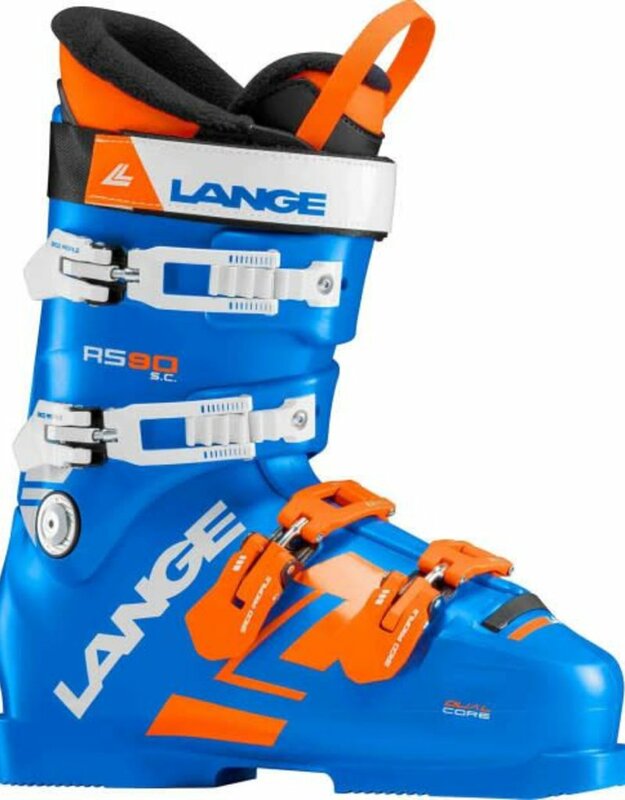 The new RS 90 SC has a natural, efficient, and upright stance optimized for modern technique and derived from Lange’s Race Department World Cup Boots. Lange reduced the ramp angle to only 4 degrees and the forward lean to only 12 degrees. The Short Cuff allows young athletes to get a more natural range of motion. 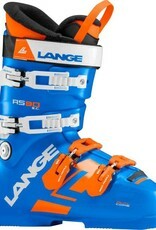 It’s 97mm last runs a little wider and the medium instep is higher compared to other race boots. The RS 110 SC’s Control Fit true lasted liner is cut to the match the internal shape and fit of the shell, and addresses traditional hard to fit issues using anatomically pre-molded padding, an instep pocket, a one piece toe box, and saddle-stitched seams.